Famed Pakistani poet, academic, and Left activist Salman Haider has gone missing since last Friday. As of now, we have little credible information but we believe that Salman was abducted due to his political views and writings. Salman has been a staunch champion of the oppressed and working class peoples of Pakistan, and uses his witty prose and incisive verses to challenge and mock all forms of oppression in Pakistan. He is not alone. Within hours of his abduction, news of other activists disappearing has emerged–Waqas Goraya, Aasim Saeed, and Ahmed Raza Naseer have gone missing. We demand that the Pakistani state apparatus–its military, intelligence agencies, and civilian institutions–act promptly to ensure the safe recovery of all activists. 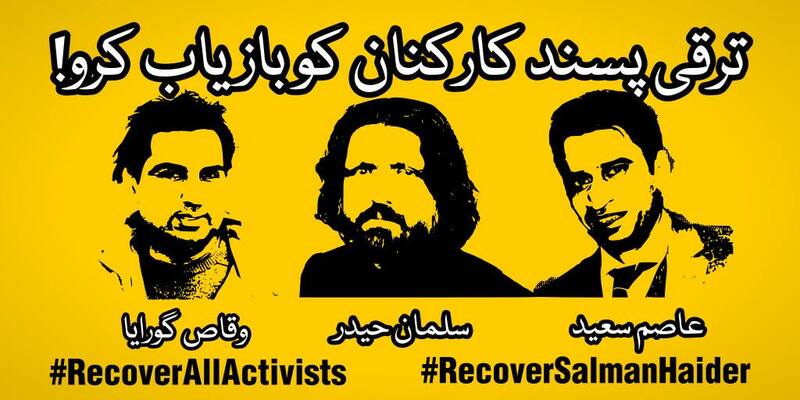 We call on scholars, playwrights, poets, writers, activists, artists from around the world to join hands to call for immediate action to find and recover Salman Haider, Waqas Goraya, Aasim Saeed, and Ahmed Raza Naseer. We ask for show of solidarity and support for those fighting for a just, equal, and free Pakistan. 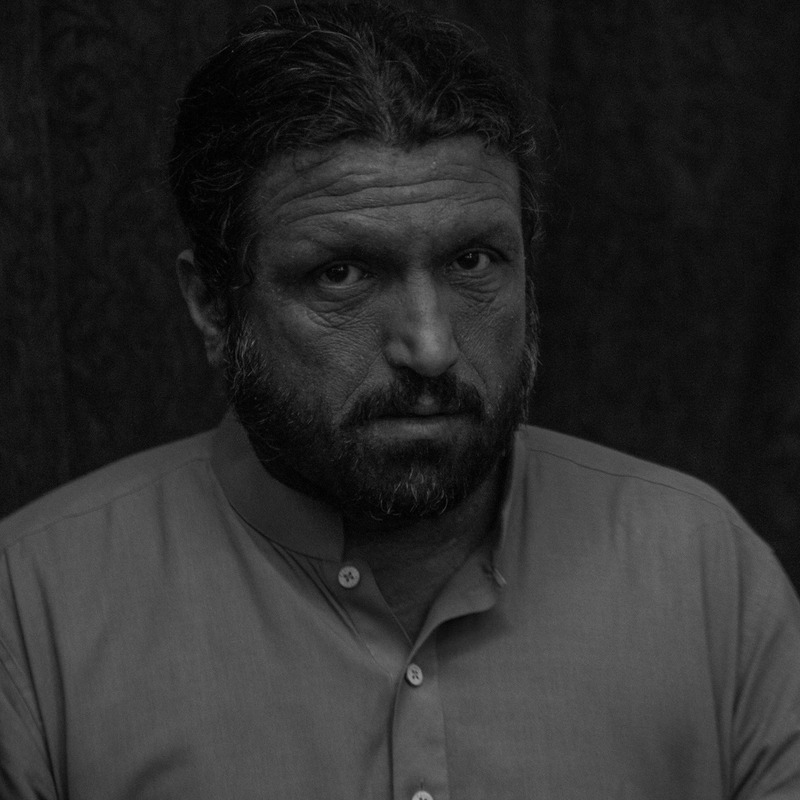 Salman Haider disappeared on his way home from a theatre group meeting late Friday evening. He left his friends at around 8pm, but did not respond when his wife called around 10pm to ask about his whereabouts. Soon after, she received a text message from his phone asking her to pick up his car at Koral Chowk near Bani Gala. The text said that he had work to do, and that he would return home later. He has yet to return. We are deeply concerned about the safety and well-being of Salman Haider. He is a father, husband, brother, son, friend and comrade to many. He teaches Gender Studies at the Fatimah Jinnah Women’s University, and has written, directed, and acted in plays performed in Pakistan and abroad with Theater Wallay. He is a member of the left-wing socialist Awami Workers Party. He is vocal in opposing extrajudicial disappearances, killings, sectarian violence, and socio-economic injustice. And he edits the online magazine Tanqeed and pens an Urdu blog. Aware of these risks, Salman never failed to raise his voice against injustice. From street protests in Pakistan to music videos, from theatre performances to the classroom, from blogs, newspapers and magazines to the lives of his friends, comrades and colleagues, Salman enriches Pakistan’s literary, political, artistic and educational worlds. We all are indebted to his pen, his creativity, and his fearlessness. We need Salman Haider, Waqas Goraya, Aasim Saeed, and Ahmed Raza Naseer, and others to keep raising their voice for truth and against injustices. For this, we owe it to them and to ourselves to not rest until they are returned. 97 Charles W. Grau, Esq. 140 zahra shah, a citizen in a free country! 195 naila fatima dogar, a fellow Pakistan. 212 Mesha Saeed, I believe in justice to be seved. You are currently browsing entries tagged with salman haider at .